​2018-12-15 Added note respecting the passing of Diane Austin. 2016-06-17 For privacy, deleted many years of old results - all are available on request with accepted reason. More results are stored by the County Secretary and are available on request. 2019-02-24 Sad news: RIP Jon Milner. 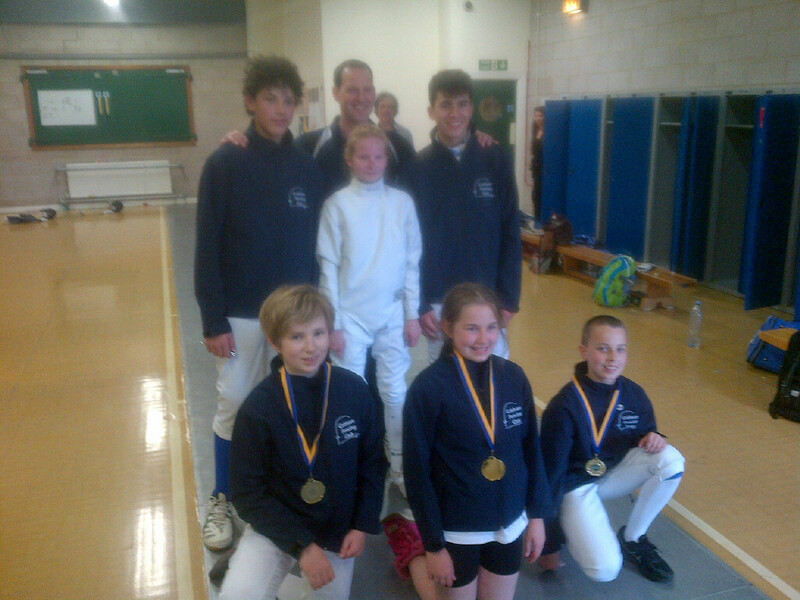 A stalwart organiser of youth fencing. Obituary here. 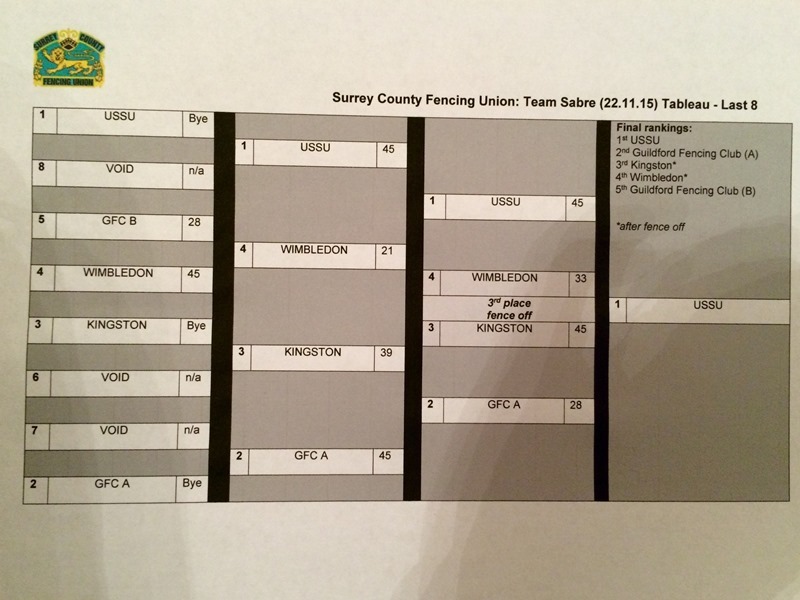 2019-01-27 Surrey Youth results here. 2018-12-09 Sad news: Diane Austin RIP. 1933-2018, Surrey fencer and administrator remembered. More here. 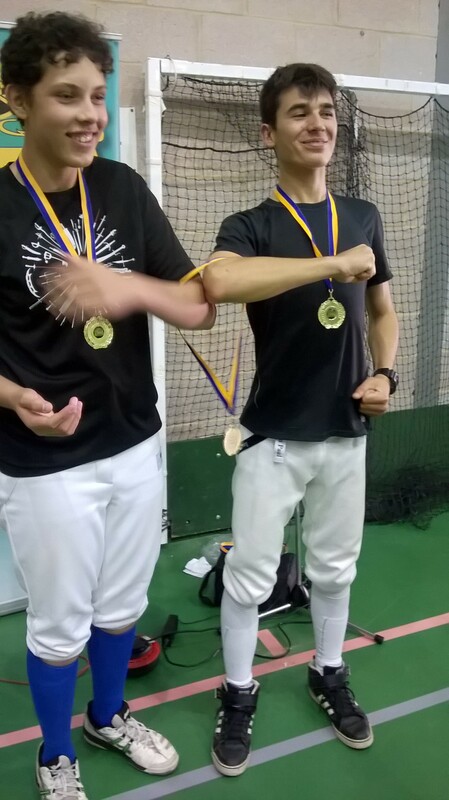 2017-04-23 Excalibur: Dan Wide 1st Place M. Sabre individual, (as well as managing the overall team). Overall team result: 6th. 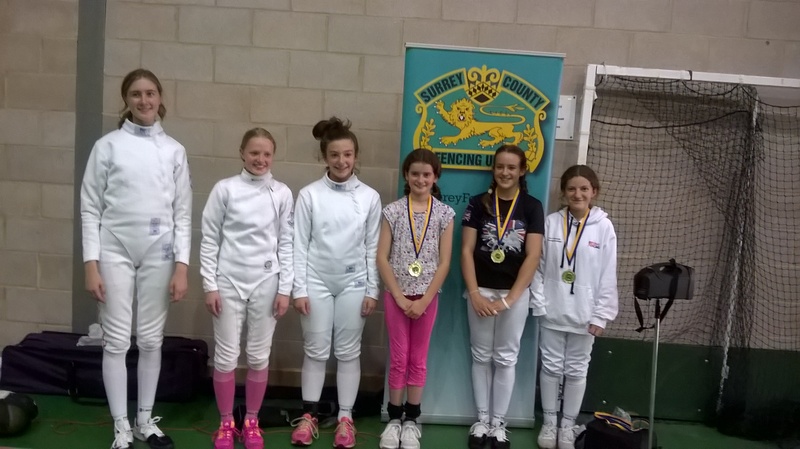 2016-11-27 Surrey Foil and Sabre Championships (Individual). Results. 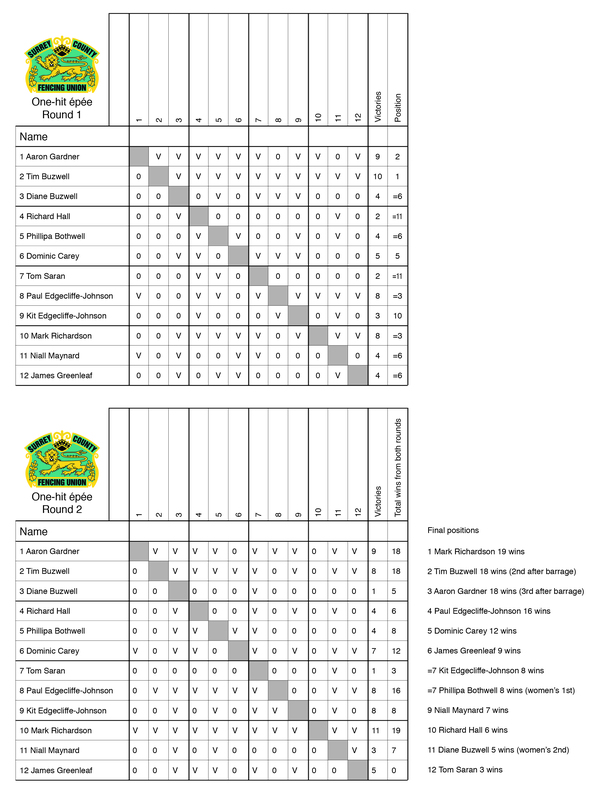 2016-05-22 Surrey Team Epée results. 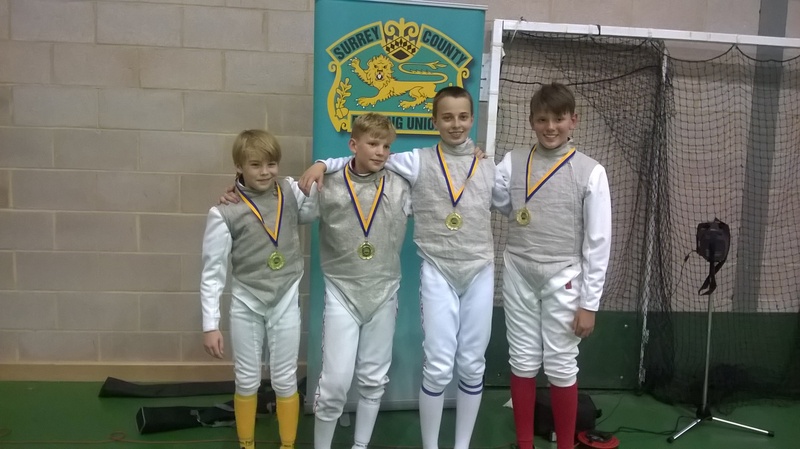 2016-05-15 South East Region Senior & Intermediate Sabre & Team results are here. 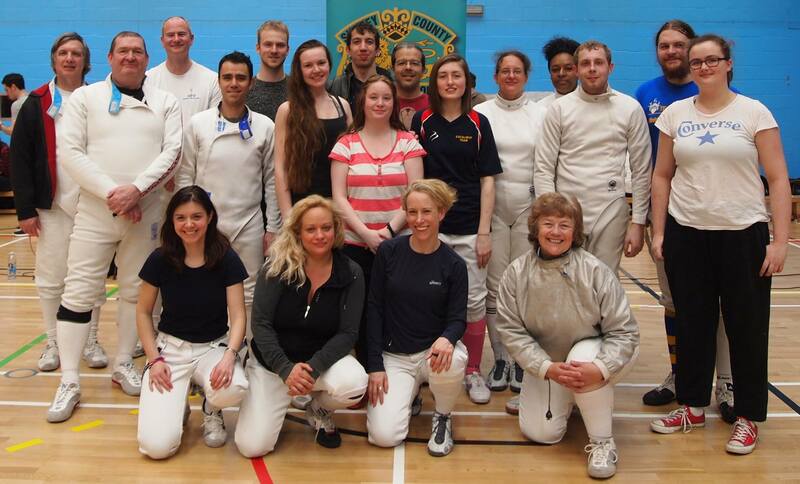 Results of Surrey Epee (Individual) 18th Oct 2015. Earlier results, back many years, are available from the committee / webmaster. If competitors would like names reduced to initials only then please contact the webmaster (see contact committee button). Historic winners will be added to the "past winners and pictures of cups" files (see button above). with a write up / photo.